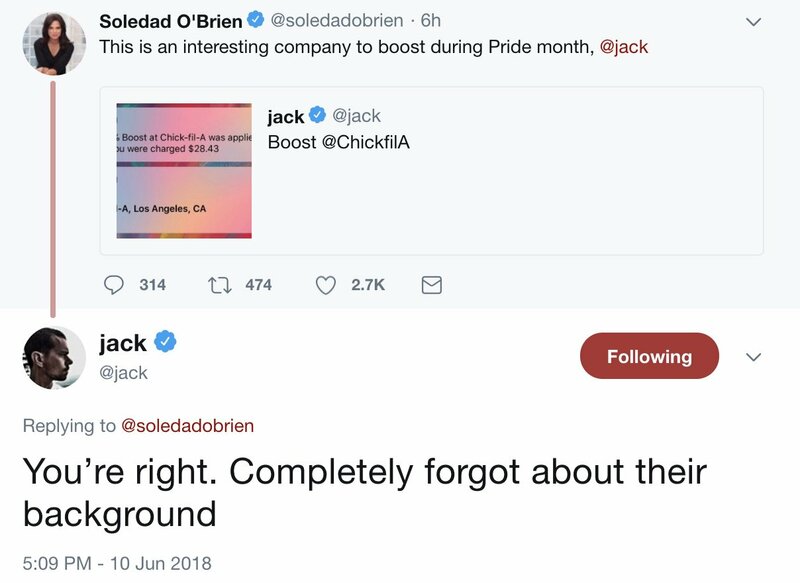 On Saturday Twitter CEO Jack Dorsey voiced sorrow for eating Chick-fil-A and posting about it on Twitter during LGBT Pride Month. 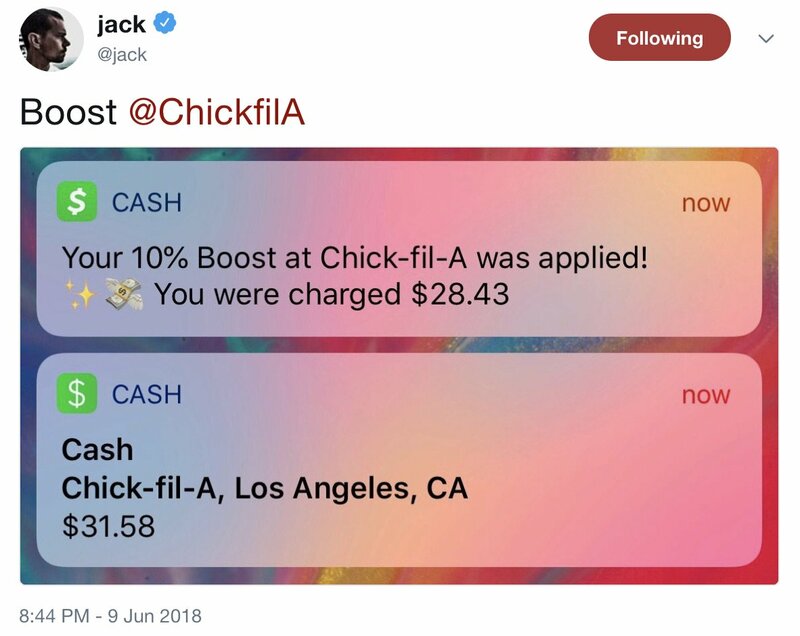 The Twitter CEO tweeted a screenshot that showed me made a Chick-fil-A purchase with a mobile application. When Dorsey faced some liberal backlash, he apologized for eating at the delicious fast food chain. 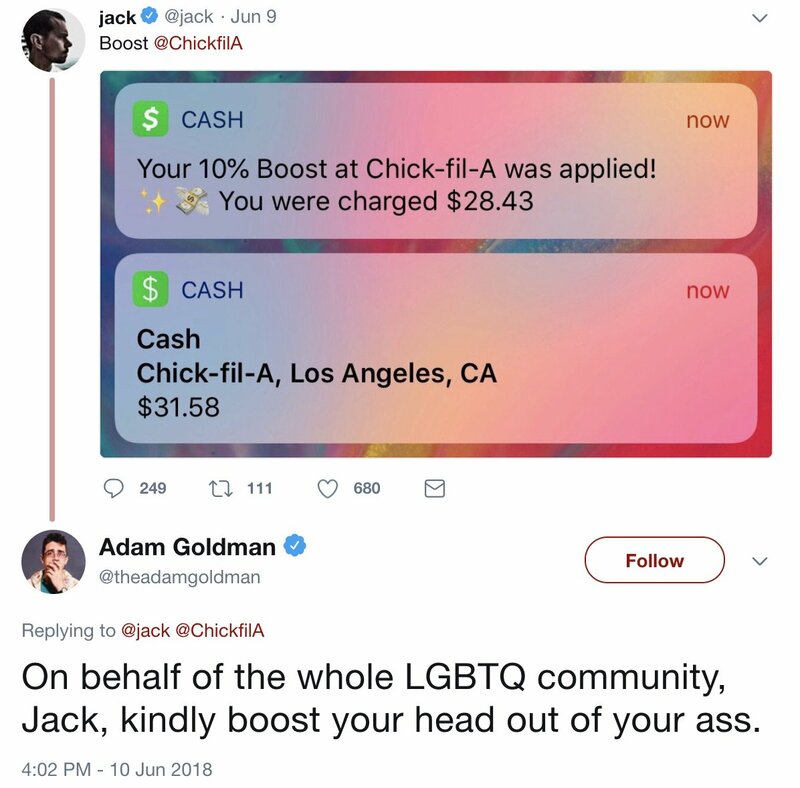 Chick-fil-A faced some backlash when their CEO, Dan Cathy, announced that he defines marriage as between a man and a woman. He described it as “the biblical definition of a family.” This happened back in 2012. Adam Goldman is sure that Dorsey is a terrible man for eating at Chick-fil-A. 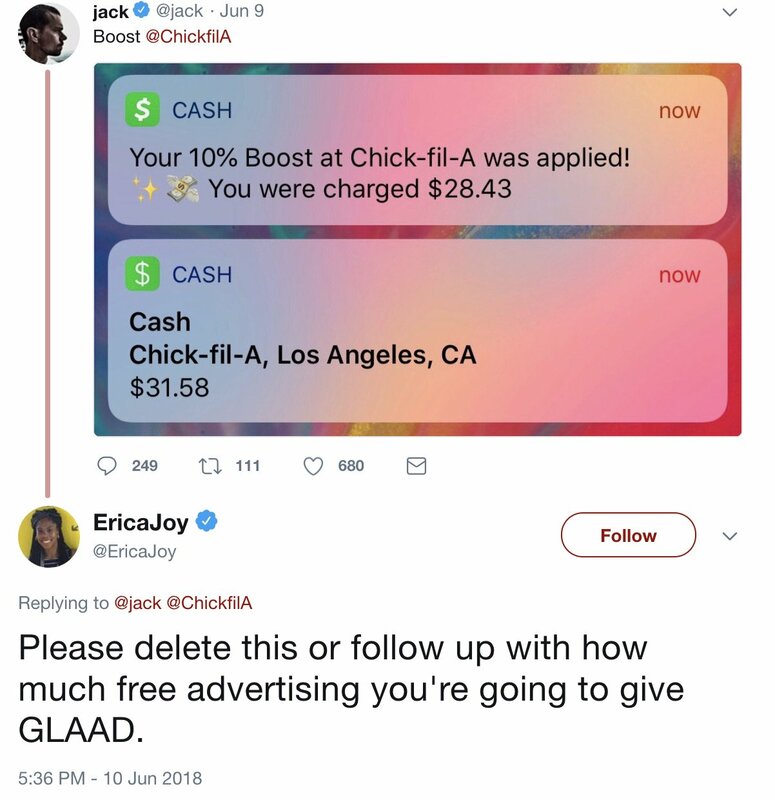 Erica Joy threatens the Twitter CEO that he needs to either delete this tweet or let everyone know how much free advertising he is going to provide to GLAAD. The Gay & Lesbian Alliance Against Defamation. Former CNN anchor Soledada O’Brien joined in the fun, ripping Dorsey for eating at Chick-fil-A. This was the breaking point for Jack. He admitted he was wrong and that he completely forgot about their background. Or he could have just said he’s exercising his right to eat wherever he wants. No, he caved and apologized for exercising his freedom to purchase whatever he wants.